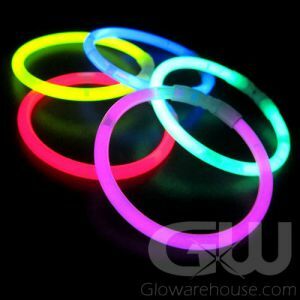 - Bright Light Up Round Face Glow Bracelets! 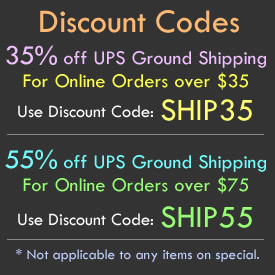 - Available in several fun glowing colors! - Flashing Mode and Steady Light Mode! - Charity Events! Festivals! Glow Runs! 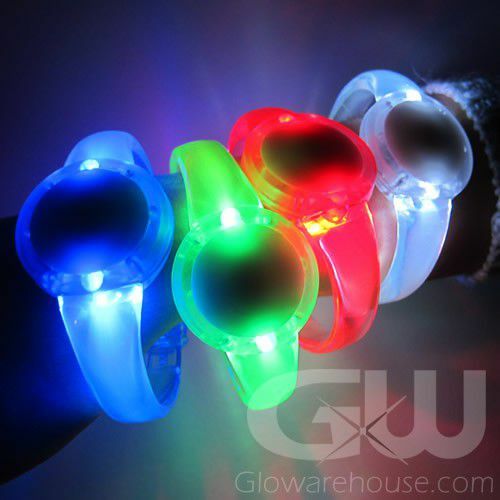 Around and Around we glow with the Round Faced LED Glow Bracelets! 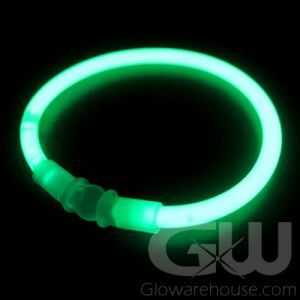 Start up the glow party at your next event with these cool glowing LED bracelets! 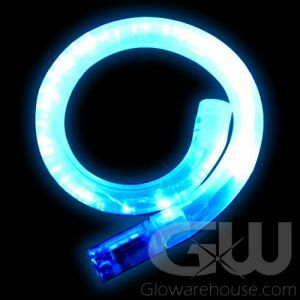 The round face circle on the front is lit up by 2 LED Lights on either side of the face and you can set it to 2 different light modes - flashing or steady light. 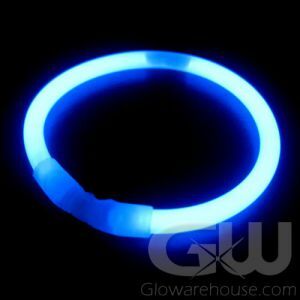 The Round Face LED Bracelets come with 3 AG13 button cell batteries already installed which are replaceable so all you have to do is push the button and glow! 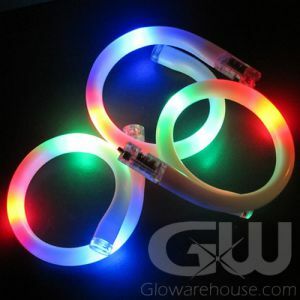 The Round Faced Light Up Bracelets look great as-is, but look even better when custom printed. 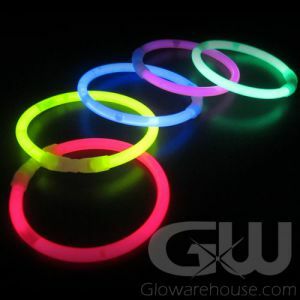 Just give us a call at 1-877-233-GLOW(4569) if you're interested in gettting your LED bracelets custom printed. 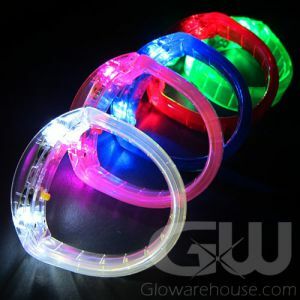 Instructions: Just remove the battery protector tab and push the button on the back of the Round Face LED Bracelets to turn on and change between settings (Flashing or Steady Light On). 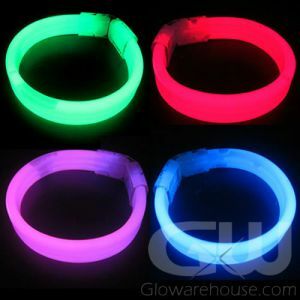 Please Note: The wristband of the Red color Round Face Glow Bracelet is a shade of pink, however the LED lights are Red. 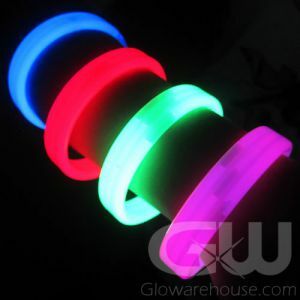 When the bracelet is turned on, it illuminates with Red light and is Red.